(via NASCAR Wire Service) LONG POND, Pa. – Just as he had done in winning his first Monster Energy NASCAR Cup Series race last June, Ryan Blaney kept Kevin Harvick behind him at Pocono Raceway when it mattered most. 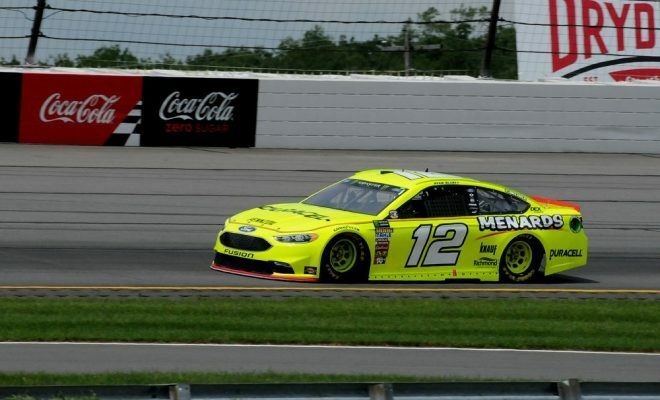 Blaney sped around the 2.5-mile triangular track in 50.877 seconds (176.897 mph) in Friday’s knockout qualifying session to earn the top starting spot for Sunday’s Pocono 400 (2 p.m. 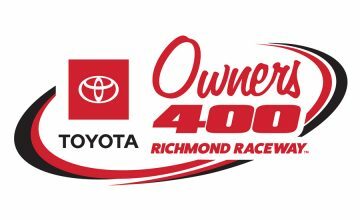 ET Sunday on FS1, MRN and SiriusXM NASCAR Radio). In winning his first Busch Pole Award at the Tricky Triangle, his second of the season and the fourth of his career, Blaney beat Harvick (176.807 mph) by .026 seconds. Harvick, a five-time winner in the series this year, had the top speed in each of the previous two rounds. But Pocono is becoming a special track for Blaney, who got his first taste of competition in a quarter midget on the dirt track outside Turn 3. “I’ve always enjoyed this place,” Blaney said. “I enjoyed coming here to watch my dad (Dave Blaney) race. I made my first-ever start in a race car at the dirt track out there. So it’s been special to me. Blaney and his No. 12 team also have developed a knack for negotiating the track with three distinctly different turns. Harvick had a pole-winning lap going until he slipped in Turn 3. “I thought we did a really good job of trying to pick a pace and trying not to be a hero on every lap, and we were able to pick up a 10th (of a second) in each round,” Harvick said. 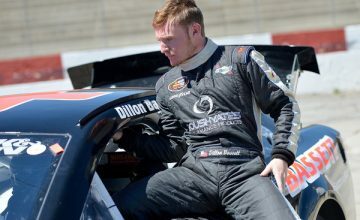 “We got a little loose there in (Turn) 3, and I didn’t want to tug on the wheel any more just because of the fact I didn’t want it to get any looser. Jamie McMurray qualified third in the No. 1 Chevrolet, followed by Toyota driver Martin Truex Jr. Kyle Busch, who picked up his fourth victory of the season in last Sunday’s Coca-Cola 600 at Charlotte, will roll off fifth beside brother Kurt Busch, who qualified sixth. Joey Logano, Ryan Newman, Clint Bowyer, Denny Hamlin, Chase Elliott and Daytona 500 winner Austin Dillon completed the top 12.